How can social space be reimagined to address basic infrastructural problems, like lack of clean water or sanitation? This was the question architecture faculty member David Turnbull and his partner Jane Harrison asked themselves when they attended the Homeless World Cup in Copenhagen in 2007. A soccer tournament that brings together national teams from across the globe composed of homeless and excluded people, the Homeless World Cup was founded to effect positive change for its participants and their home communities. 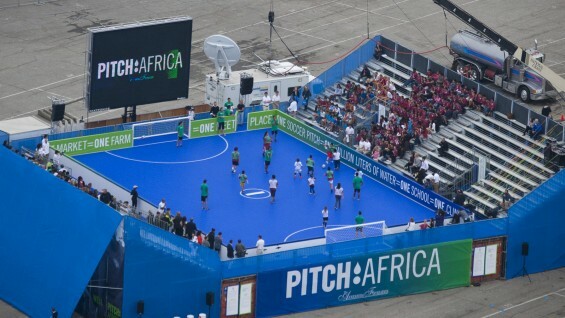 Turnbull and Harrison visited the tournament as the collective ATOPIA Research and soon observed that the compact soccer pitch (outdoor playing field) which hosted the games that year could be utilized as a significant harvester and storage container of rainwater when it wasn’t in use by athletes. PITCHAfrica is the project to emerge from that observation, bringing together Turnbull and Harrison’s passion for using design to create innovative solutions to infrastructural problems in the developing world. Securing financial support from the Annenberg Foundation early on enabled the team to create a working prototype of their water-harvesting football pitch in Los Angles in 2010. 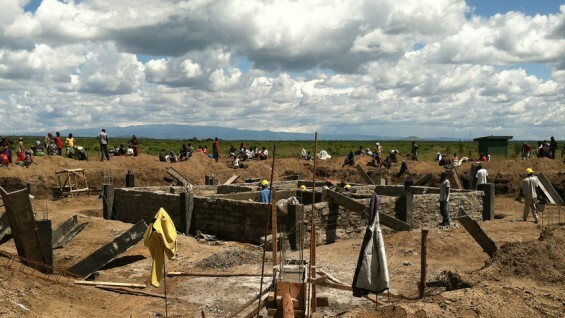 Later this year, ATOPIA will unfold the next major phase of their project, presenting the WaterBank School in Laikipia in the Central Highlands of Kenya, a structure for housing a school with rainwater harvesting and storage capacities similar to the more ambitious system planned for the soccer pitch. The less costly and smaller Waterbank School will help ATOPIA further consolidate their relations within their host community as they introduce a new structure for local use. The soccer pitch planned for next year will be a bigger step; PITCHKenya will serve as a Secondary School, a regional Environmental Center and will be home for the Samuel Eto'o Soccer Academy. Philanthropist and professional football player Samuel Eto'o has generously donated 50 percent of the funds towards construction and with their local partners The Zeitz Foundation, ATOPIA are raising matching funding. If all goes well construction will begin in February. 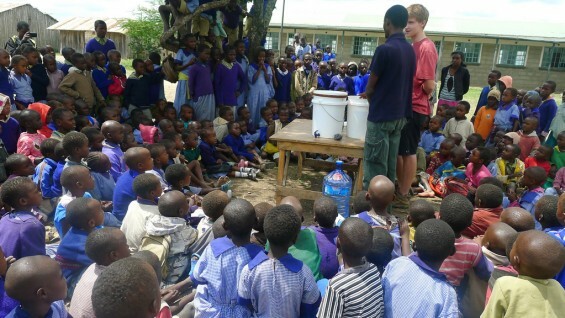 Turnbull describes the process of creating a multiuse structure that functions as a school, social space, and rainwater harvesting and storage mechanism as a kind of translation: translating knowledge from different disciplines across geographic and economic contexts as well as disciplinary bounds and immediately intended consequences. In his talk at TEDx Cooper Union earlier this year, Turnbull relates an experience of hearing a medical doctor describe the condition of being sick: “When you’re sick, you just want to get well. You don’t care what you are sick of.” With ATOPIA Research, Turnbull similarly strives to think out-of-bounds in order to create multipronged and long-term solutions to serious world problems. Watch his TEDx talk below.